We’d love your help. 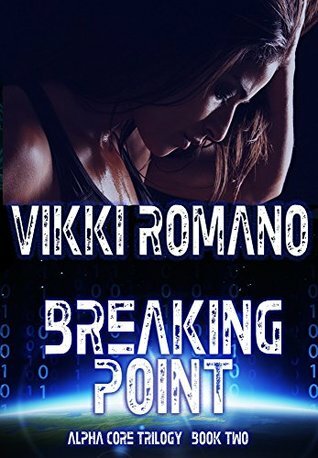 Let us know what’s wrong with this preview of Breaking Point by Vikki Romano. Sierra Mason has landed the career of a lifetime, becoming a special agent for a firm run by the best in the business. She has proven herself more times than she can count and has given all of herself to her job... and then some. When the truth is uncovered about her firm's investors and who they are tied to, the team is thrown into Sierra Mason has landed the career of a lifetime, becoming a special agent for a firm run by the best in the business. She has proven herself more times than she can count and has given all of herself to her job... and then some. When the truth is uncovered about her firm's investors and who they are tied to, the team is thrown into turmoil. Her partner, Calder McKenna, becomes embroiled in a conspiracy that is weaving itself through their lives and finds his own life in danger. To ask other readers questions about Breaking Point, please sign up. I try to leave reviews right when I finish a book. I do this not only so that it's fresh in my mind, but also because I think it's important to give my perspective on individual books in a series while the story is unfolding for me. It's easy to say "The Two Towers" is great in hindsight, once you've finished the whole Lord of the Rings trilogy, but if you just finished reading that particular book, well...you might say it was a bit slow. It's a common trap for middle books, which have to do a lot of unglamorous work to get the story from A to B. Well, I'm coming back to write this after finishing the trilogy because I bought the third book and started reading it the moment I finished book two. I couldn't help myself. This book is the sequel to the Edge of Darkness. Sierra, the female lead, is learning to deal with her "abilities", while hiding her feelings for her partner, Calder. She can't deal with anything right now other than trying to control her abilities because she is afraid of hurting someone. Calder has to go on a mission and things don't go to well for him, Sierra is determined to do anything to save him. The pace picks up rather quickly and the story line has a few twists. The author did a good job with describing the setting and further character development. Shawn Compton did well with the narration. How do start over? Sierra's life has been changed forever, she now has special abilities that she never wanted. She just wanted to a good agent and hopefully one day find love. She has been pulled into a world that is evil and has so much hate. Her one anchor is Calder, he is her partner and secretly her one true love, she just can't tell him that. Calder has wanted Sierra since the first day that he meant her but she pushed him away so he has been her friend since. He is trying to help her cope How do start over? Sierra's life has been changed forever, she now has special abilities that she never wanted. She just wanted to a good agent and hopefully one day find love. She has been pulled into a world that is evil and has so much hate. Her one anchor is Calder, he is her partner and secretly her one true love, she just can't tell him that. Calder has wanted Sierra since the first day that he meant her but she pushed him away so he has been her friend since. He is trying to help her cope with her new abilities as he has similar ones but he agreed to have then done and he is able to control them. He worries about her but he is on a mission in space at the moment and he can't look after her. 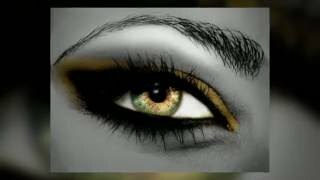 Sierra abilities have pushed her over the edge and she is scared that she will hurt someone that she loves. Things don't go well for Calder and he is lost in space and Sierra can't allow him to disappear from her she will do anything to save him. Can she get to him in time or will she lose him as well? "Like a man in a boutique, browsing curios"
I received a complementary copy of Breaking Point in exchange for an unbiased review. I was unaware, when i started the book, that it was the second in a series. Had I done so and had first read the preceding episode, I might have rated this book more highly. But I doubt it. This is a book of two parts: an intriguing, exciting science fiction thriller which is substantially swamped by a tedius and poorly written psychological exploration and romance of o "Like a man in a boutique, browsing curios"
This is a book of two parts: an intriguing, exciting science fiction thriller which is substantially swamped by a tedius and poorly written psychological exploration and romance of one of the two main protagonists. Despite many (oh, so many) chapters written about Sierra, she remained for me a cardboard caricature, far too self pitying, shallow and contradictory to be the strong woman she is claimed to be. This is where acquaintance with book one might have helped. But I doubt it.